When Valentine’s Day arrives, you want to pick a place that’s going to deliver on both atmosphere and food – you want to treat your valentine to best of both. You want the night to be perfect. We get it. There are almost too many Valentine’s Day events to count in Chicago, and many outstanding Chicago restaurants offering Valentine’s specials, certainly too many to list here. Here’s our pick for eight exceptional Chicago restaurants that’d be perfect for a date on the big day. Hubbard Inn. At Hubbard Inn, they’re calling the event “Couples Therapy,” a food/drink-based therapeutic get-together that includes a glass of champagne, oysters (get it? ), petite filet and a Triple Ganache “Candy Bar.” Feel better about the relationship now? If not, have another cocktail; repeat until you’re ready to commit. Funkenhausen. Funkenhausen, where Deutschland meets Southern cooking, is serving family style dinners on Valentine’s Day. 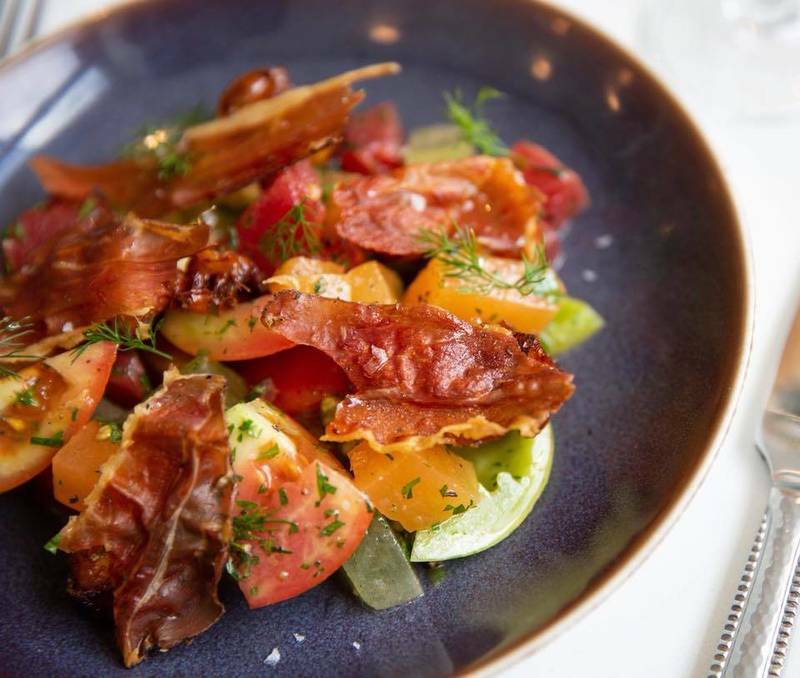 It’s going to be four courses of finely finessed funk, including sturgeon pastrami, blood sausage, schnitzel, duck breast and some other unpredictable options. This is a somewhat casual, entertaining and hip space; it’s not where your grandparents (or perhaps even your parents) would choose to go for V-Day. It could be just right for you. Spiaggia. Perhaps the finest Italian restaurant to ever call Chicago home, Spiaggia is planning a legendary Valentine’s Day dinner for two. On the menu, bluefin tuna tartar, bucatini and, of course, steak. The recently remodeled Spiaggia dining room is elegant yet comfortable, with spectacular vistas of what will likely be a frozen-over lakefront. Arami. Under the sea is where Arami is planning to harvest your Valentine’s Day celebration, with botan ebi (shrimp with pomegranate, soy…and chocolate mint!) and grilled abalone with sea vegetable. 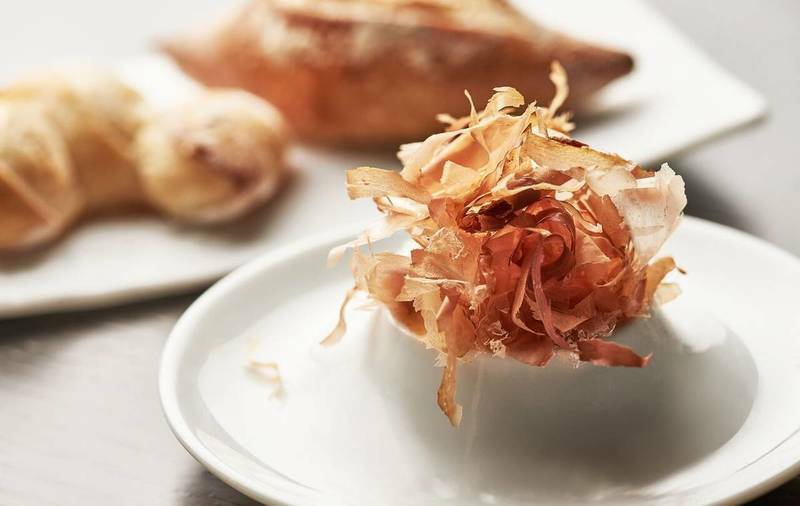 Owner Ty Fujimura opened Arami to showcase Japanese food that goes beyond simply sushi; on a cold February night, having a warm dish will be very appealing. Geja’s. No listing of romantic Chicago restaurants would be complete without a mention of Geja’s, the quintessential place for romance and big pots of hot cheese. Geja’s is decorating for the event (envision lots of red and heart-shapes) and serving up a selection of champagne and sparkling rose, many pots of fondue, and classical music. Also, if you’re married, you get a discount based on your years of wedded bliss. Yugen. If you want to try a restaurant that’s as new as, perhaps, your budding romance, Yugen is offering a tasting menu of Ora King Salmon (with Hijiki sunchoke and winter Périgord truffle) and Dry-Aged Lamb and Duck (with Royal Trumpet Mushroom, pistachio miso and persimmon). There’s also, of course (! ), a special Valentine’s cocktail menu.